What to do for guaranteed Termite Control and Removal? 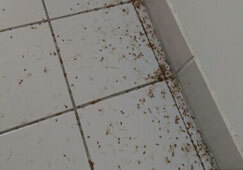 Research show more than 20% of homes in Australia will be affected by termites at some point in time. CSIRO says 1 out of 3 homes will be affected by termites. 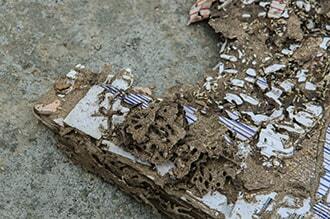 Termites are Australia’s no 1 public enemy. 3 months is all it takes for a termite damage to get out of control. 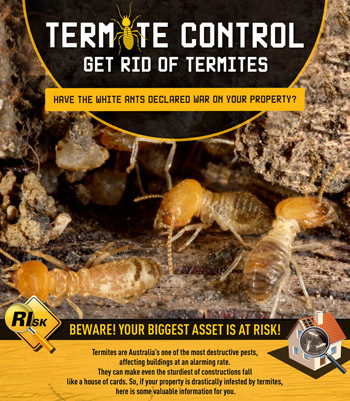 Get down to Terminating those Termites with Termite control in Melbourne!! 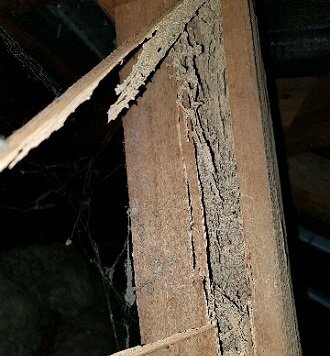 Could the above be pointing to signs of a termite infestation? Well that's one mystery you'll want solved immediately and effectively. Also known as white ants, these creatures are responsible for destruction of timber in residential and commercial areas. Come in various shapes, sizes and colour. Multiply rapidly breeding into an infestation. Colonies have hierarchies with specific roles to perform. That’s probably why they remain undefeated....for a lay person that is. 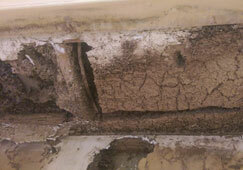 Homes and building construction all over Melbourne need to have treatment against termites. This is obviously because of the wood content that attracts termites. A warm invitation could soon turn into an unwelcome infestation. 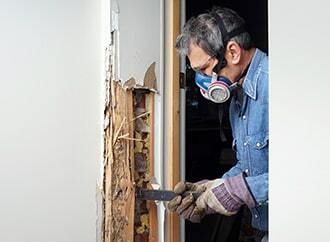 Not only will they wreak havoc in your home it might be too late to salvage your property. Would you really want to put your home and possessions at stake? We’re sure you wouldn’t! Wondering what parts of your home termites find so inviting? Read on! Once they find an area that meets their requirement of food and shelter, they stick around. They then begin to build tunnels through the timber in order to build up their colony. Your house could be included in one third of the houses in Melbourne that get affected by termites. Small mud tunnels that resemble little brown straws. Getting rid of loose timber in and around your home. Removal/ replacement of landscape timbers and timber retaining walls. Place vents in external walls to block entryways. Clear vents that keep the house thoroughly ventilated. Use metal stirrups to raise the timber. Fix any leaking water pipes, sinks, drains, etc. Check to ensure no excessive moisture near water tanks if any. 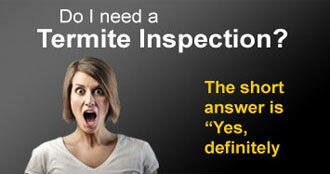 Regular termite inspections every 6-12 months by trusted professionals. 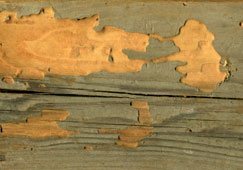 An average termite colony eats 5 gms of the wood in your house! For buildings and homes in Melbourne that are already up and functioning, a moisture metre and microwave detection unit (Termatrac) are excellent ways to detect an infestation and the location of the colony. This enables accurate treatment measure for complete elimination. For building or homes that are under construction, it would be wise to employ the services of professionals for a pest inspection report. It reveals any pest infestation history and also includes a thorough check up of the place to find out existing infestations and more than that it exposes certain spots that might attract an infestation later.To sum things up if you’re considering making a purchase, a pest inspection report would be highly valuable to have at hand. At Protech pest control, we understand that termites can really eat into your money and we’re determined to stop that from happening. Using the latest technology and the detailed eyes of our trained experts, we locate the signs and causes of an infestation with ease. We know that termites are insects at the end of the day and could affect your health negatively. While getting rid of them we wouldn’t want to have your health affected now would we? That’s why our treatment solutions are eco-friendly and safe. Does the service you’re selecting provide same day pest control service (normally)? Do they have over 23 years of experience in the termite control field? Do they have full accreditation and licensing for pest control services from the Victorian government? Do they make use of the most up-to-date non-destructive termite detection technology? Do they have a specialist termite division for inspections, reports and treatments? Do they guarantee their work of getting rid of pests? Do they offer natural and biodegradable treatments for getting rid of termites to protect you, your family and the environment? 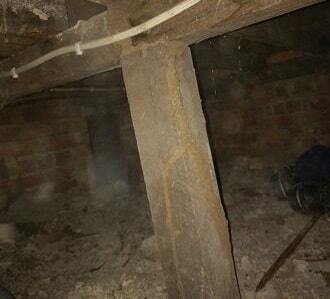 When I found termites in our garage in suburban Melbourne earlier this year I was horrified. I contacted PROTECH Pest Control & within 2 days we'd had an inspection & then full treatment of our property within the week. I would give the PROTECH name to anyone with a Pest problem. I have already had a neighbour use them following our experience and satisfaction with the work done at our home.